The last time we were home for Easter, I drove by the apartment where I grew up, on Lehigh Street. We lived there for 12 years, in a two bedroom apartment with the washer and dryer right there in the living room. I didn’t go back for many years and since I don’t have any pictures, it’s sensory overload to return. So much gets packed into the first 10 years of your life. Going back is like sticking my hand inside a grab-bag for memories, treasures. Last year, I got this photo of what used to be a sandbox, at the edge of the parking lot. 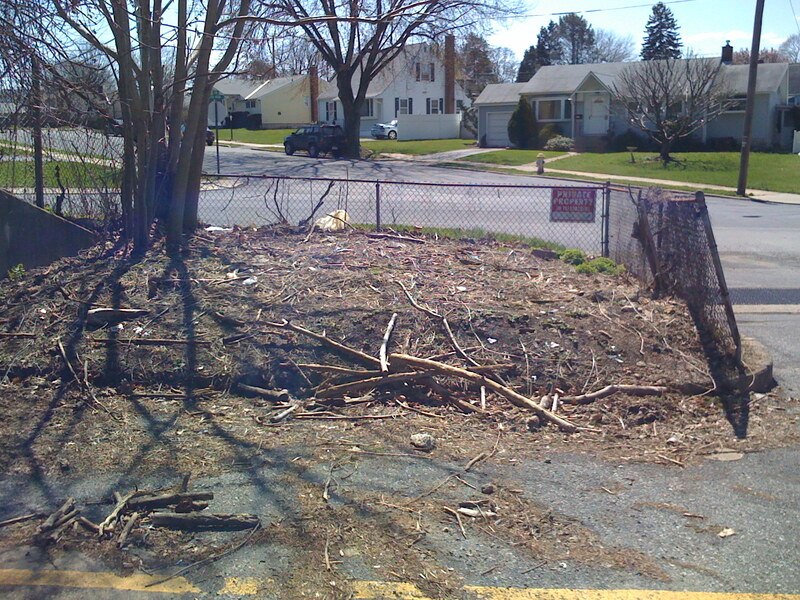 It’s now a dumping ground for lopped off tree limbs and other debris.